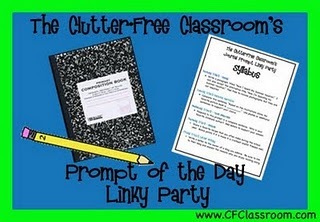 It's day two of Clutter-Free Classroom's week-long Prompt of the day linky party! Today's prompt is ... Complete this sentence: "Based on the illustrations alone, my favorite picture book is ___________." This was an easy one for me. I really tried to broaden my horizons, and maybe bring a new book to some people's attention... but I just can not. 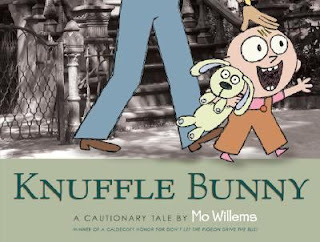 Based on the illustrations alone, my favorite picture book is Knuffle Bunny! I first heard of this book in my children's lit class in college. My professor was overly dramatic and made this book SO fun to listen to when she read it to us. I'm sure you are familiar with this book, but if somehow you are not, let me tell you about it! A little girl named Trixie carries around her Knuffle Bunny everywhere she goes. In the book, we see her hanging out with it and taking it on errands with her dad until....... it gets lost! 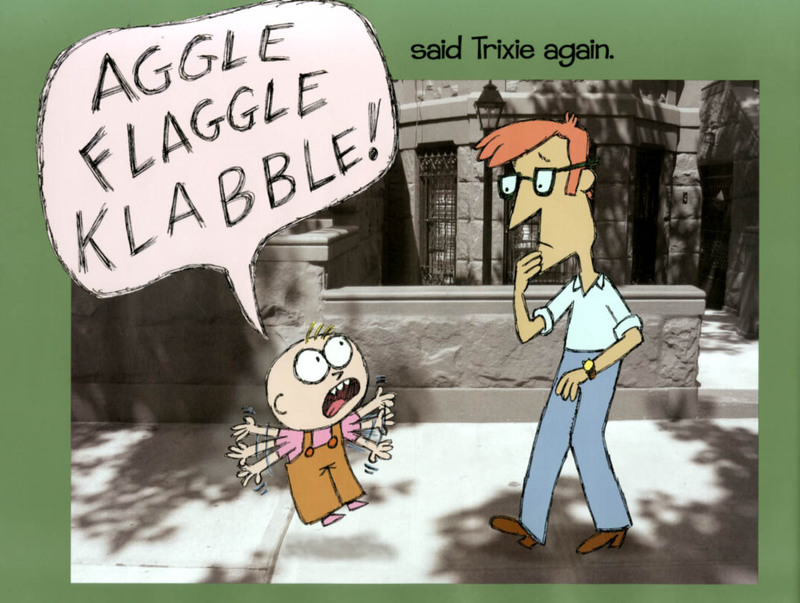 The words in the book are so funny, Trixie's baby talk always makes the kids giggle, but the real highlight of this book is the amazing, creative illustrations! 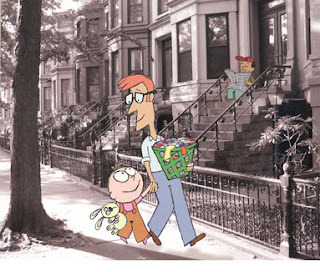 You see, Knuffle Bunny's illustrations are drawn and then superimposed onto real photographs of Brooklyn! We see neighborhood streets and little strip malls with Trixie and her dad right there. I LOVE Knuffle Bunny! The pictures are amazing-I've never seen another children's book like it! And I pronounce it just like you do (even though Mo wrote the book and pronounces the "k"-I just cannot bring myself to say it that way!!). Haha! It's even more silly with the "k"! Thanks for sharing!